Arlington Greens at their February meeting voted to support asking the Arlington County Board to add $3 million more for low-income rental (housing) grants that could help 400 or more households in Arlington in 2020. With $3 million in funding, at least 400 more housing grants should be provided to people who are termed “extremely low income” (those earning 40-percent or less of the area median income (AMI), by lowering the current minimum age for seniors from age 65 to 50, and by eliminating other arbitrary restrictions that block thousands of such extremely low income Arlington renters from just applying for a rental grant. There are currently 15,000 Arlington renter households—about 30,000 people who are considered as “very low income”–earning under 50-percent AMI, and nearly two-thirds of whom do not receive housing assistance in any form, and face a heavy housing cost burden. This forces them to apply for other forms of assistance from faith communities, the Arlington food bank (AFAC), and other forms of emergency assistance from the county and charities. Housing rental grants are the county’s single most effective and cheapest (per dollar of benefits given versus the cost of administration) housing assistance program, and benefits can vary per household depending on need, and amount of funding available. In 2015, the Arlington County Board adopted its Affordable Housing Master Plan that set a yearly goal of helping an additional 630 more households in Arlington who earn under 60-percent AMI with housing assistance. The county was only able to aid 246 new households in the most recent year, and cut the number of households getting a housing grant by 30. About 1,215 households applied for a housing grant in FY 2019, a drop of about 400 from the 1,624 households who applied in FY 2015. 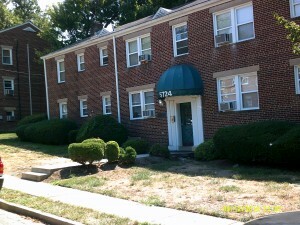 The two primary housing assistance programs in Arlington funded by local tax dollars are the affordable housing investment fund that subsidizes construction of mostly new apartment units (“committed affordable units (CAFs)”) ($13.7 million funding in FY 2019), and the separate housing grants program that provides rental grants for very low income seniors, families with a child or disabled persons ($8.7 million in funding in FY 2019). In the most recent year for which data are available (FY 2017), the county was able to add only 276 new CAFs, and has rarely added even 300 per year. The extraordinary high cost of building new units (averaging well over $350,000 per unit), and the number of years and difficulty it takes to build such units are major impediments to adding more CAFs. In addition, virtually no persons earning 40-percent AMI or less can qualify to rent a CAF because of their extremely low incomes. The new CAF program does not help extremely low income renters in Arlington for the most part. In FY 2019, the county will spend $8.7 million for housing grants for 1,180 households—half of whom are disabled persons; one quarter are seniors over 65; and the remaining one quarter are families with a child. The average monthly grant is about $600 a month; the average rent in Arlington is about $2,000 per month. The average beneficiary family earned $27,000; a disabled person or a senior over 65 earned about $14,000 a year. The maximum income allowed for a housing grant is 40-percent AMI. In FY 2019, the county cut funding for housing grants by about $446,000 from FY 2018, and thus 30 fewer households got a housing grant. The disposable income available per month for non-rental expenses for an Arlington family receiving a housing grant in FY 2018 was $930 without the grant, and $1,490 with a grant. A person with a disability with a housing grant had a disposable income available for non-rental expenses of only $50 per month without a grant, but $675 with a grant. For a senior receiving a grant, their disposable income for non-rental expenses was $102 without a grant and $677 with a grant. It would have been impossible for these households to live in Arlington, but for the housing grant. Therefore, Arlington Greens call on Arlington County to provide $3 million more in funds in FY 2020 to its housing grants program that will allow at least 400 very low income households to receive a housing grant in Arlington. Far more than 400 households could be assisted with this $3 million if the monthly grant per household was reduced from its current $600 per month. An expanded housing grants program will allow Arlington County to finally reach its own goal of aiding at least 630 additional households in Arlington with housing assistance per year. 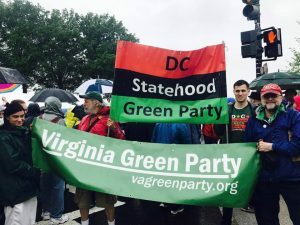 Virginia and Arlington Greens gathered in Richmond in the cold on Jan. 22 to support a Green New Deal resolution in the Virginia General Assembly, along other Virginia grass roots organizations including the NAACP and the Chesapeake Climate Organization and the Virginia Sierra Club. We then visited our elected delegates and state senators. Virginia Delegates Rasoul and Guzman and others introduced this house resolutions that would begin the process of drafting a comprehensive bill in 2020 as state law that would radically redirect Virginia into a sustainable energy future. A somewhat similar bill at the federal level has been introduced in Congress, but its prospects this year are doubtful. The goal is to have Virginia have a secure environmental energy future and many new high paying jobs. Solar, wind turbines, and insulating and conserving energy will bring far more jobs to Virginia than the few now in coal mining and fracking. It is striking that the NAACP would join environmental and labor groups to seek a just environmental future for Virginia that would begin to address environmental racism that continues to target communities of color in our state, including in the path of the Virginia gas pipeline in Buckingham County. A Green New Deal means high paying jobs in our state; ending environmental degradation of our state, and addressing climate change that likely will devastate many parts of Virginia, including the Hampton Roads ares which is likely to be under water with the rising of the Atlantic Ocean and Chesapeake Bay. 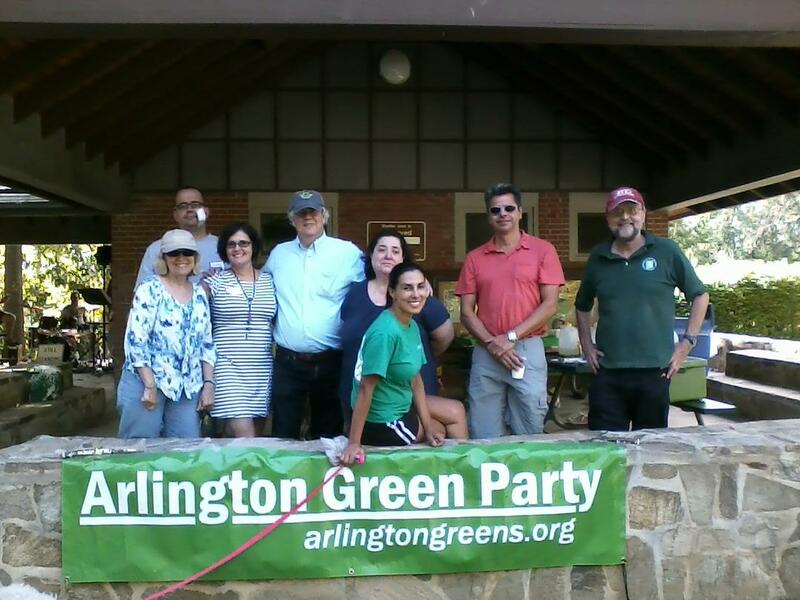 Arlington Greens will meet on Wednesday, Oct. 3, 2018, at 7:30 PM at the Ballston Firehouse Community Room (located at Wilson Blvd and George Mason Drive, about 1 mile from Ballston Metro station). Should Arlington Greens take a position on the bonds on the 4 Arlington ballot in November? Our meetings are open to the public, but only members can vote. 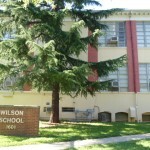 Dues are $5 per year and limited to Arlington residents. At their June 6 meeting, Arlington Greens voted to oppose any county funds for Amazon to move its new office to Arlington. Greens are concerned with the secretive and hidden negotiations between the County Government and Amazon to provide that company with potentially billions of public dollars in order to open a large office complex in Arlington or nearby Alexandria. Greens are very concerned that these public funds will detract from funds now used to support our schools, libraries, public safety, affordable housing assistance, recreation, and the other public programs that make Arlington a great community already. It is bad for democracy to keep the people in the dark. Community activists have already asked the Arlington County Board to make public its bid for the Amazon headquarters with as many as 60,000 employees. Many of the final top-20 areas being considered by Amazon have made public their bids which range from $4-7 billion. Northern Virginia is one of the top areas Amazon wants; Jeff Bezzos the Amazon owner and the world’s richest man has a mansion in Washington DC and owns the Washington Post. Why does the richest man on the Earth need our county tax dollars? Greens are concerned that Arlington County cannot afford to waste any dollars on Amazon, given the tight budget approved in April, the rising cost of more school students, more Metrorail funding, and the need for more assistance to renters to be able to stay here. Arlington has 2% unemployment rate today; traffic is considerable and rising. Adding 60,000 employees to our community–none of whom will pay taxes locally–is going to raise rents, increase traffic, and make life miserable for us the county residents, all done with our own tax dollars. Greens also voted to support a town hall discussion of Amazon sponsored by Our Revolution Arlington on June 21 at Central Library from 7-9 PM (see separate article with details). 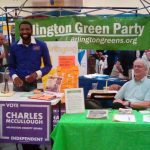 Arlington Greens had a booth at the 2017 Arlington County Fair Aug. 18-20, 2017, and promoted Green Party membership and as well the candidacy of Charles McCullough, an independent candidate for Arlington County Board in November 2017 election. 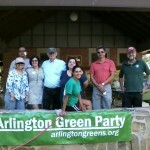 Arlington Greens endorsed Charles for the county board this year. 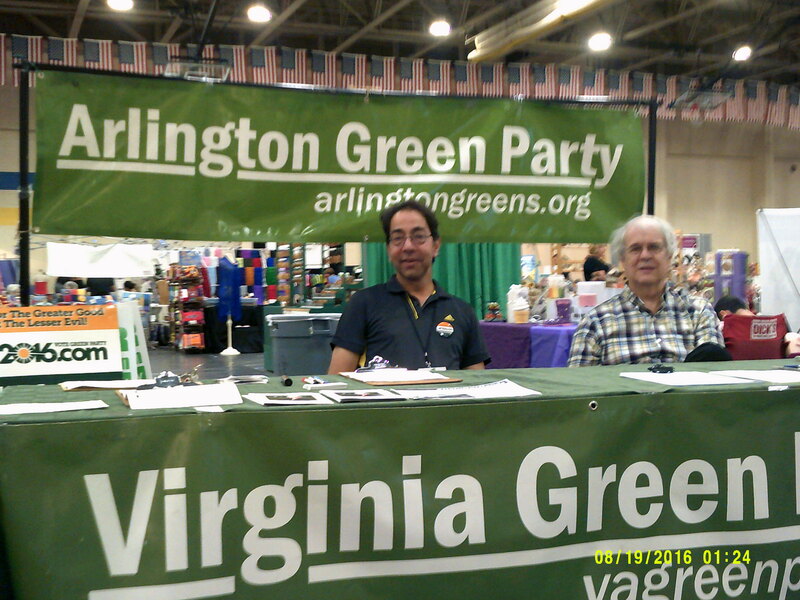 Greens shared the booth with Charles this year and had an opportunity to meet many Arlington residents and old community friends again. 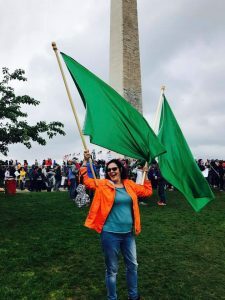 A small group of Arlington Greens led by Sandra Hernandez, Kirit Mookerjee, and John Reeder marched with DC and Virginia Green members in the pouring cold rain with tens of thousands of other Americans in Washington, DC to support continued public funding of science for global warming, medicine and other fields that help our country and its citizens. Two Greens, Miriam Gennari and Kirit Mookerjee, were invited to present at and attend the Annual Junior State of America Conference at the Double Tree Hotel in Arlington on Saturday, February 18, 2017. Like many of us, Greens have been a bit down about the state of our political system—political division, few new ideas and very little straight talk. But that was certainly not the case with the young people from around the U.S. who visited the Green Party table. 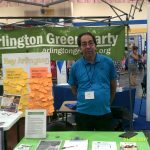 They listened attentively to one another’s questions, and paid close attention to every answer Miriam and Kirit gave about the Arlington and National Green party. More than 200 students looked over the 10 Key Values of the Green Party and then shared their reflections on what we Greens stood for. They wanted to know how decentralized government would address issues like gun control and the distribution of wealth. They wanted to know what financial impact free college would have on the countries fiscal future and they wanted to know what our foreign policy and value of non violence would mean when our allies were threatened. Many of these high school students are frustrated with our nation’s environmental policy, and seemed certain that if there were more than two political parties at the table, common ground would be found to advance progress towards a cleaner greener environment. Even more were skeptical that the two major political parties’ grip on power would relieve itself without a major change in campaign rules that allow the rich and corporations unlimited power over our elections. Arlington and Virginia Green members staffed a booth at the Arlington County Fair during Aug. 19-21, and gathered many signatures for a petition urging historic preservation of Westover Village in Arlington, and also many signatures to get Jill Stein for president on the Virginia ballot in November. Below are Greens Kirit Mookerjee and Steve Davis at the booth at the county fair which as usual was held at the T-J Middle School in south Arlington. 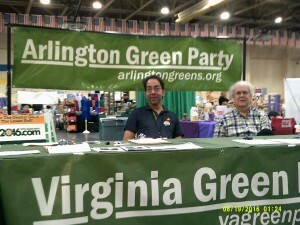 Greens got to meet many Arlington supporters and old friends at the fair. 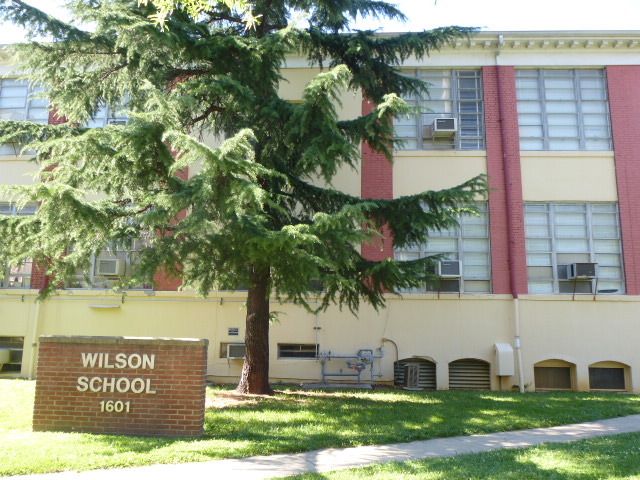 Greens and tenants in Westover have been advocating for the past three months to have Arlington County historically designate and protect the Village area which contains over 700 rental apartment units. Greens also are upset at the high rate of tear downs of well maintained 60 or 70 year old brick detached houses for middle income homeowners now being demolished to make way for ugly, overlylarge McMansions destined for the wealthy able to buy a $1.5 million energy guzzler with no trees, greenspace or taste. 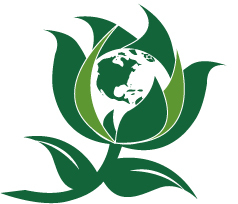 Jill Stein was nominated by the U.S. Green Party for president, but has yet to get on the Virginia ballot. She is on the ballot of about 20 states in the U.S. but not so far in Virginia nor 29 other states that make it difficult for third party candidates to actually appear on the election day ballot. The two dominant parties of course wish to limit third parties like we Greens from appearing democratically on the ballot. Arlington Greens gathered at Potomac Overlook Regional Park on Sunday, September 20 to celebrate their second annual end-of-summer picnic. About two dozen people gathered and listened once again to Arlington local rock and roll band, Still Standing, play 60s and 70s rock and roll and rhythm and blues. New members and two county board members attended and welcomed the last day of the Summer of 2015.